Daily I read posts on social media about what a terrible shape the church is in here in the US, and how poorly it is being led by its clergy. Certainly the truth is contained within these diatribes against the excesses of “professional” leadership. Yet I believe there is an abundance of glossing over faithfulness that is being practiced by all sorts of leaders in all sorts of places. The church is a diverse body of people with diverse views and a variable record of effectiveness over time in different geographical locations. Clergy leadership must assess and lead a moving target with few ready resources, vying with multiple challenges while being under fire from antagonistic members within and an unfriendly culture without. It isn’t easy, and it doesn’t look like it will change any time soon. When I was a college student at Emory & Henry, in the southwest corner of Virginia, a school founded by Methodists to prepare leaders in a variety of fields, including the church, I was intrigued by leadership models I was exposed to there. One was Professor W. C. Mason, an ordained UMC clergy person who had become chaplain and Director of Religious Life, as well as chair of the Religion Department of the school. Mason influenced a generation of ministers with his warm personability, his studious love of learning, and his ease of making practical suggestions for leading and serving. His example led me to embrace a sense of calling not only to serve the church anywhere, but to focus particularly upon the needs of the churches in southwestern Virginia, a region long beset with economic challenges and characterized as part of the Appalachian Region. 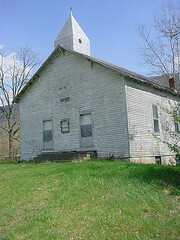 These churches were living in communities long ignored by their state Capitol, as well as the ecclesiastical overseers in the center of our annual conference at Knoxville. They had developed a sense that there was no reliable help from outside their own circles of influence, and thus they had developed a real problem with trust which exhibited itself in a fear of strangers and officials. After all, when outsiders only seem to want your money or other resources and never seem to show up when you’re hurting, it’s easy to view the world in a less than optimistic way. So I came to embrace Southwest Virginia as my people and the focus of my ministry. This isn’t a popular view in the annual conference of which I am a part. Most clergy want to serve around the larger population centers, in Knoxville, Chattanooga, or at least the TriCities of Bristol, Kingsport, or Johnson City. But southwest Virginia is viewed as a wasteland, a place where a career cannot be made, where you go to be punished, a dumping ground for those of us who can’t be trusted to lead in places that count. 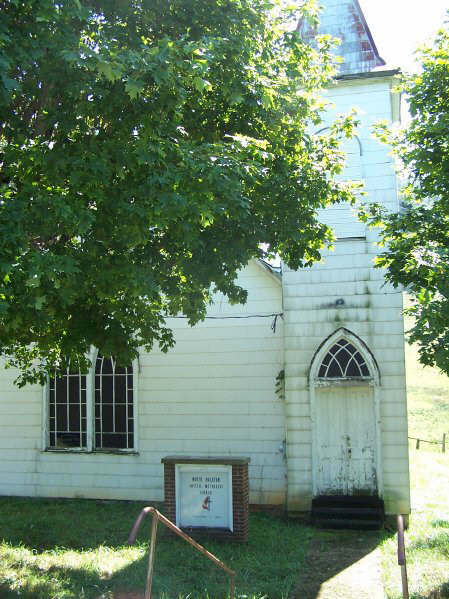 One superintendent publicly declared once that our Annual Conference should just cede the Virginia churches to the Virginia Conference, as they were more of a burden than a viable mission field. In the midst of this attitude and the present cultural and economic forces that are at odds with Christian values and human thriving, I have served almost thirty years (with a five year hiatus to serve in a town in Tennessee, where I constantly talked about southwest Virginia- they were glad when I left!). I have developed a deep love for southwest Virginia. I am so blessed to have met many exemplary people who have lived faithful lives and died faithful deaths here. There are some wonderful, loving ways people are living their lives here as disciples of Jesus Christ. It isn’t a vast wasteland at all. Here people are surrounded by the beauty of creation. Here their lives are centered upon their families and neighbors. Neighbors truly know what it means to be a neighbor here. Church houses are not all that modern here, but some are, and the presence of a church building inspires those who pass by. Ministry is done here in kind. Food is taken to hurting and grieving friends. Wood is chopped and delivered for winter heat. Youth and children are treated like little kings and queens. Programs are simple and devoid of fanciful things, but kids thrive as they get loved and shown how to love others. Things aren’t perfect here, but many families and individuals are trying to be faithful in spite of all the odds against them. I may not be appointed to serve many more Virginia locations, but the time I’ve spent here has shown me what faithfulness looks like. Southwest Virginia has left its mark on my soul. For that I’m thankful. 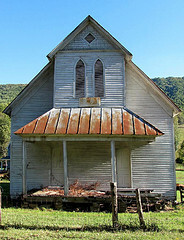 This entry was posted in Uncategorized and tagged appalachia, Church, incarnational, Southwest Virginia, Spirituality. Bookmark the permalink.